It´s Easter, one of the perfect time to talk about candy ! We all know that the French are extremely gifted for making good food and wine. They excel in everything from appetizers to miniardises. It is indeed a fabulous country to live in! Nevertheless, although the French make maybe the finest chocolate in Europe, there is one culinary domain where they still can make significant progress: “Les bonbons”. (candies). 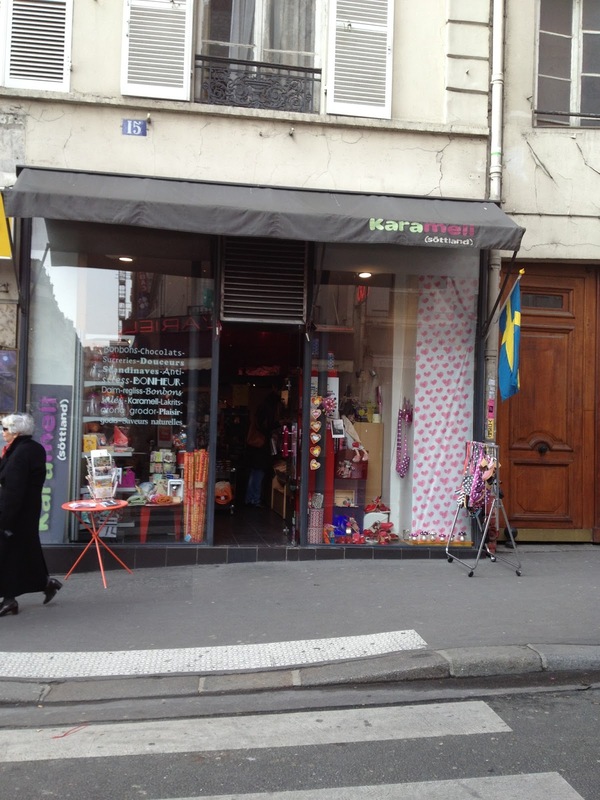 For sweets that taste more natural, that are more delicate – yes, simply better, I strongly recommend the shop KÄRAMELL. 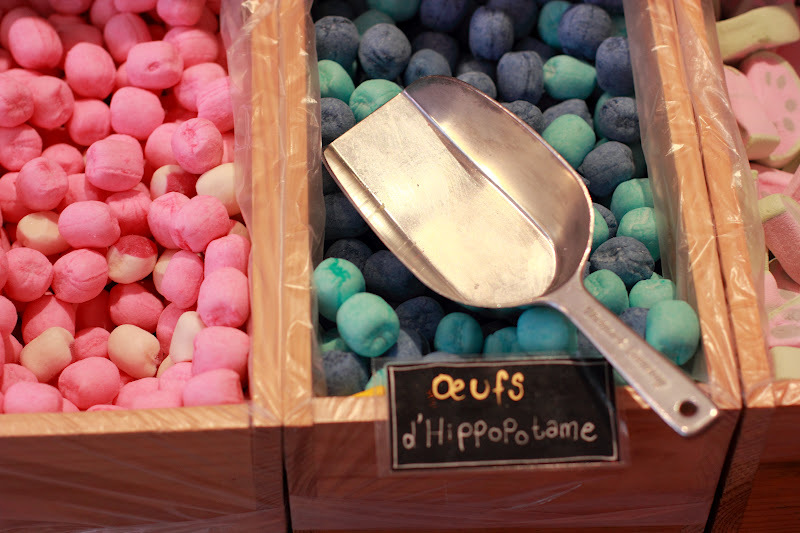 Living in Paris for 20 years and having to deal with “way too sweet ” French candy. 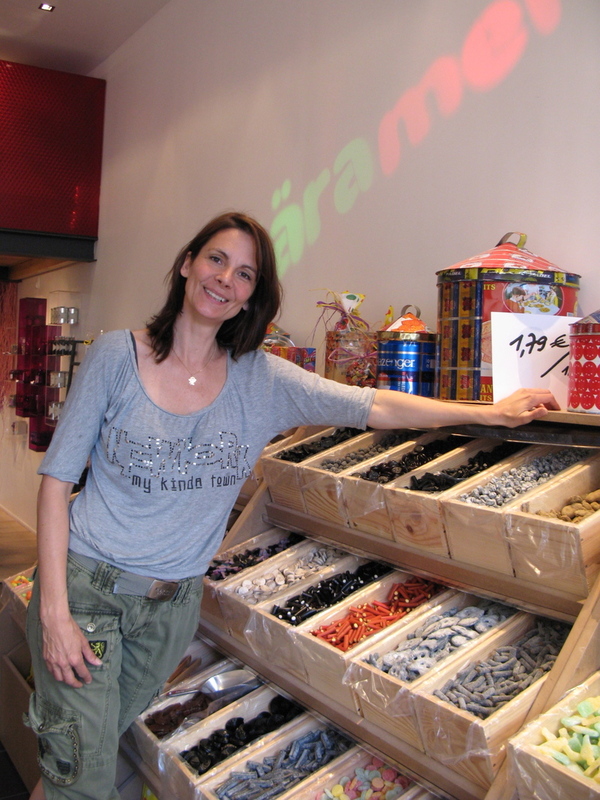 Lena ROSEN, ex swedish model opened Käramell, her Scandinavian sweet shop. In the area just south of Montmartre, rue des Martyrs. Lena’s boutique is bright and colorful, and with a table of Swedish clogs just out front, plus a large, bright pink K on the door, you cannot miss it. Extremely friendly and outgoing, both Lena and Parisian Alexandra are more than happy to tell you about each and every candy in the bins, and point out their personal favorites, with fun anecdotes along the way. Have you ever tasted Salted Licorice ?! Ah yes, a true delicacy up north ! It’s definitely an acquired taste, which some people will certainly not enjoy, I´m one of them… However, for others, once they try it, they are hooked. Most of the produce is imported from Sweden and tastes way better than what you can find elsewhere in town. Lena also sells some nice accessories and products reflecting where she has her roots. 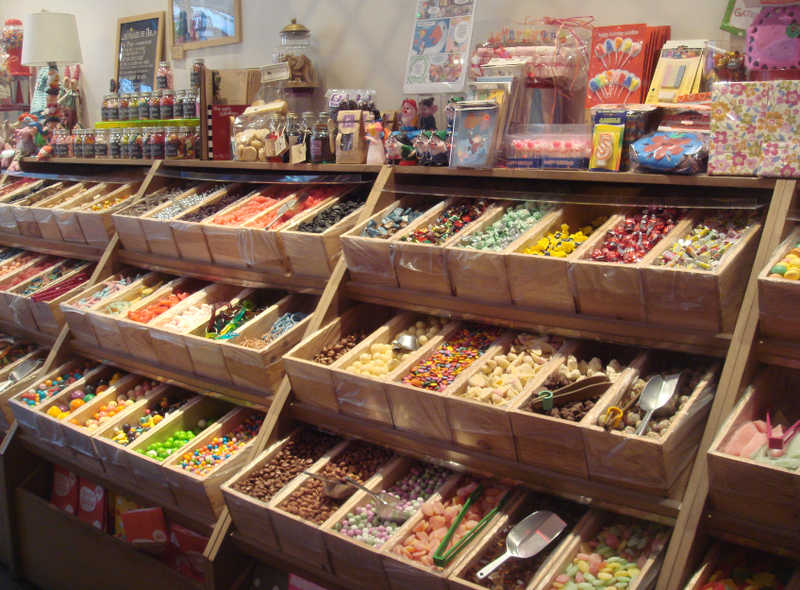 Saturday is the day of the week where basically all the Sweds (kids and adults) are heading to the candy shop. It´s part of the culture. Candy is for many here in Sweden, a great way to relax and give yourself a treat after a long week of work. 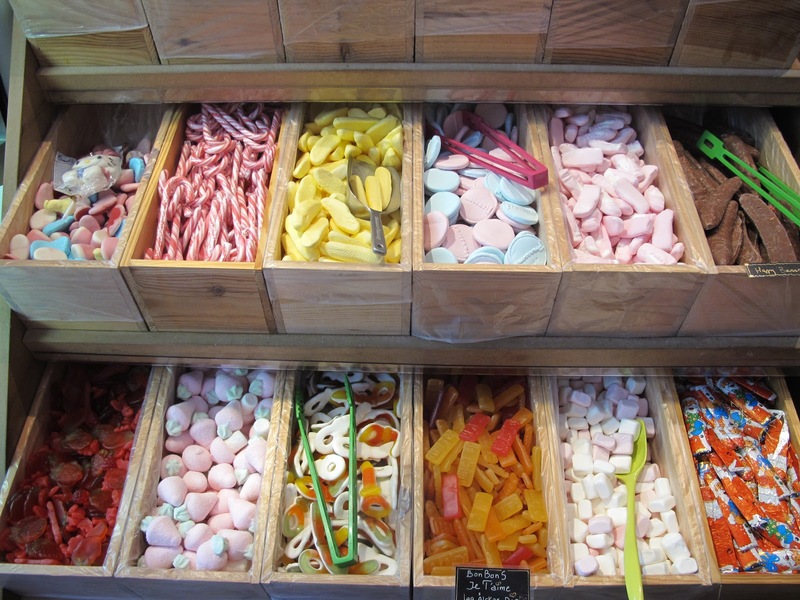 Don´t mess with “Lördagsgodis” (saturday candy), It´s sacred !